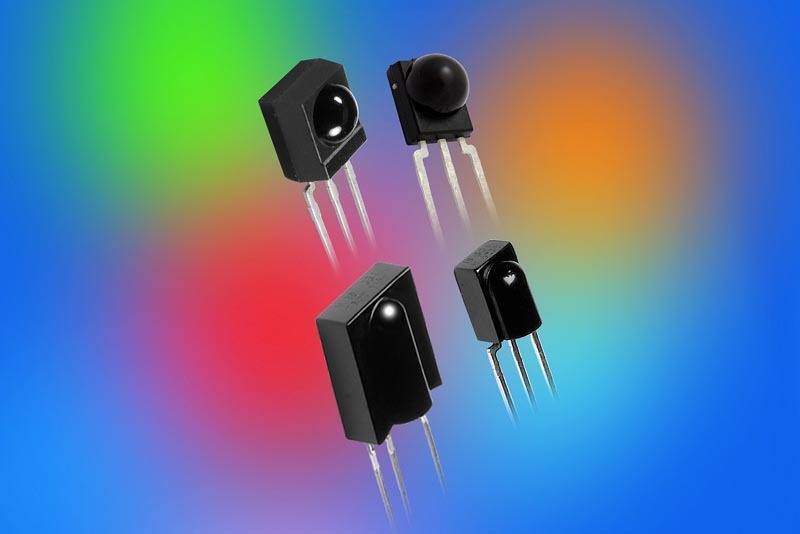 Vishay Intertechnology introduced the next generation of the company’s miniature infrared (IR) receiver modules for IR remote control applications. Devices in the Vishay Semiconductors TSOP11xxx, TSOP12xxx, TSOP13xxx, TSOP14xxx, and TSOP18xxx families deliver both improved dark-ambient and disturbed-ambient sensitivity to infrared signals, as well as better suppression of RF noise. The devices’ excellent pulse-width accuracy makes them suitable for codes demanding even the tightest pulse-width specifications, such as SIRCS and RCMM. The receivers are designed for IR remote control in televisions, set-top boxes (STBs), audio systems, air conditioners, video projectors, cameras, video game systems, and more. For the remote control function in these products, the devices provide increased robustness against disturbances such as IR emissions from CFL lamps and RF emissions from on-board Wi-Fi antennas. In addition, the modules’ improved pulse-width accuracy allows lower bit error rates for almost any code, and the devices are insensitive to supply voltage variations and ripple noise. To simplify designs, the receivers feature a photodetector, preamplifier circuit, and IR filter in a single 3-pin epoxy Cast (TSOP11xxx), Mold (TSOP12xxx and TSOP14xxx), Minimold (TSOP13xxx), or Minicast (TSOP18xxx) package. Each family is available with carrier frequencies from 30 kHz to 56 kHz and six automatic gain control (AGC) versions for short and long burst codes. All receivers feature a supply voltage from 2.5 V to 5.5 V and low supply current, and are RoHS-compliant, halogen-free, and Vishay Green. Samples and production quantities of the new IR receiver modules are available now, with lead times of four to six weeks.